Liar or storyteller? – My thoughts on a page. What exactly is the difference between telling a lie, or making up a good story? Just before Christmas you may remember I left my right arm iphone in a taxi, and even though I missed it almost immediately, it was too late, Mr Taxi took off and I was left phoneless. I believed in the goodness of people, and trusted that it would only be a matter of days before we were reunited. I’m still waiting! However a great friend had lost hers, replaced it and subsequently found it again (don’t ask), so we did a deal and I was once again in possession of a phone. Every day since I’ve appreciated my phone, and we are practically inseparable. We even sleep together. My previous phone had a lovely cover on it, with photos of the family, a present from my kids, that some fecker probably cast away when he ‘found’ my phone. In it’s place my daughter gave me a temporary cheap cover, not really one I’d have much confidence in actually protecting my phone from damage. A couple of weeks ago, after a particularly close escape in which my phone fell and I kid you not, bounced a considerable height, I decided I’d diced with danger long enough, so I went online and ordered one, spending way too long choosing what colour cover I would prefer, before settling for a purple one. Until it arrived I became a nervous wreck, convinced that Murphys Law would strike, and that just as my new cover arrived I’d smash my screen. My caution payed off and my phone was still in one piece when the cover arrived. My ‘hot pink’ cover! Not dusky purple, but roasting, smoking hot pink. Not very you, my youngest said. I decided I couldn’t wait to return it, just in case I ran out of luck. I began to put it on my phone, but try as I might I couldn’t get it to fit. I got the top part covered and then the sides, but no way would it cover the bottom end. I tried and tried, and tried some more, getting more and more frustrated by the second. Feck, Feck, Feck. I checked the box to make sure it was the correct cover. Yes. I tried another twenty times but no luck. Eventually, my temper barely under control I began to fantasise about throwing the blasted phone against the wall, and in truth the thought of the screen smashing filled me with delight. I even thought of bringing in a hammer from the shed to smash it to bits. Thankfully, just in time I decided to walk away, putting the phone on the table I fecked the cover across the floor, breathing heavily. I texted my daughter later telling her that my new cover was the wrong feckin size, poorly manufactured, and there was no way it would fit. She was more than surprised and suggested I might be doing it wrong (there is only one way to put on a cover!). I told her I’d kept the packaging and it would have to go back. I was back to being careful again. I had. What an eejit. No wonder it wouldn’t fit. Immediately I bribed her never to tell my eldest, and because she’s my youngest and still loves me she hasn’t. I removed the old cover and in one second flat the new cover easily slipped onto my phone. Later, when the eldest noticed it, I explained that there must have been a fault with it, but that after soaking the cover in hot water for ten minutes, I was able to stretch it and it eventually fitted. She believed me. Is it wrong that I feel proud that I am such an accomplished liar, or as I like to think of it, a great story teller? 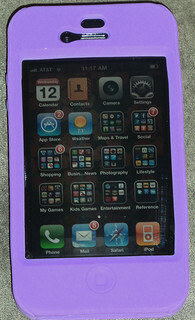 Posted in blog, Family, humor, life, parenting, personal, Posts to make you smileTagged Iphone, lies, OtterBox cover, telling a good lie. There are days when the tears fall.. but then something amazing happens..
Great story teller! I had a hot pink cover on an old iphone too and one day I was looking for it, rang it and a ringing noise came from the roaring coal fire for about two seconds. Amongst the steadily burning coals was my phone in its hot pink cover. Pulled it out but it was destroyed. It had fallen out of my pocket into the coal scuttle when I was putting coal on the fire! Luckily it was insured! Although not backed up! Oh dear, I know I don’t have to admit this Lorna, but I laughed out loud when I read what happened your phone. Oh, I’m laughing!! Truly, separated at birth we are!!!!!! I like to think I’m really good at all this sort of stuff and I usually am, but oh dear, what an embarrassing moment. At least she, who would never let me live it down, still doesn’t know about it. Me and you Emily, cosmic twins. We went on a 2 week holiday and my husband guarded his new phone as the cover he’d ordered hadn’t yet arrived. We got home and the cover was there, when he was putting the phone into the case and it slipped, crashed on the floor and smashed. You were right to be careful!! Oh dear and once again I’m breaking my heart laughing. Thanks that one, and Lornas phone in the fire, will keep me going some time. He didn’t laugh. He’s so bloody careful. I smash phones regularly. I’m pretty fortunate too, a couple of days after he smashed his I got my new iPhone. I hadn’t had time to check the back up of my photos before I transferred sims before going to a concert in the Phoenix park, so I left the new phone in the box. I got pickpocketed and they stole my old, recently backed up phone. Could have been so much worse. ‘lucky’ you. I lost a lot of photos when my phone disappeared. I try not to think about it, but tomorrow, reminded by you, I’m going to print off some as I’ve been planning to do it for a while. And… still laughing. Tric I was in the room. It leapt from his hand in an arc, like a salmon, then landed in a smashy bellyflop. We both gasped. Nobody laughed. “Eejit” indeed! That was very creatively written. As I read I thought I must tell you about my cover, it has a lanyard so that I carry it around my neck and the iPhone is always close at hand and in no danger of falling. You are definitely taking no chances Jackie. Hows your newest edition. I’ve been away for two days so not up to date? Pete is doing well! We have already spent more on toys, bathtubs and things than we did for the cage. 🙂 He sits 2 to 3 feet from me and we talk to each other all day. I am only sorry I did not get a parakeet sooner. March 26th of last year is when my poodle died in my arms and I’ve been very lonely here without her. 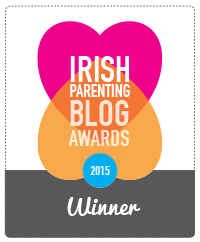 Pingback: Irish Parenting Bloggers | Liar or storyteller? Oh, so funny! I gather your older daughter doesn’t read your blog?? I love this story. Ah feck it you’re right Colleen, a few fecks can make a story! So glad you enjoyed it. My kids (all grown now) enjoy laughing at me so much that I don’t make up stories. I just tell the truth and let them laugh at me. I wouldn’t want to deprive them of it so when I tell them the truth, I sometimes embellish with gestures and various tones that will make the story funnier and they can laugh more. I think we all enjoy those laugh out loud moments, even when they’re laughing WITH us! Oh I agree, and I must admit I do love, when telling a story to add to it a little for best effect, although when I write I don’t do that as much. It must be the story teller in us Corina. Oh I do love to ‘enhance’ a story. My mother has a great comment for when we exaggerate a story. she says, ‘There is hair on that tale’.